The statistics are staggering—nearly 91 Americans die every day from opioid overdoses. Opioid painkillers are the most prescribed class of medication in the U. S. According to a 2016 report by the United States Surgeon General, over 289 million prescriptions are written every year. Opioids are a class of drugs that include illegal narcotics such as heroin and opium. Synthetic opioids are legally prescribed by doctors, dentists and other medical professionals for pain management purposes. Extended-release opioids work gradually and give the patient a greater duration of pain relief. Why are opiate drugs prescribed? 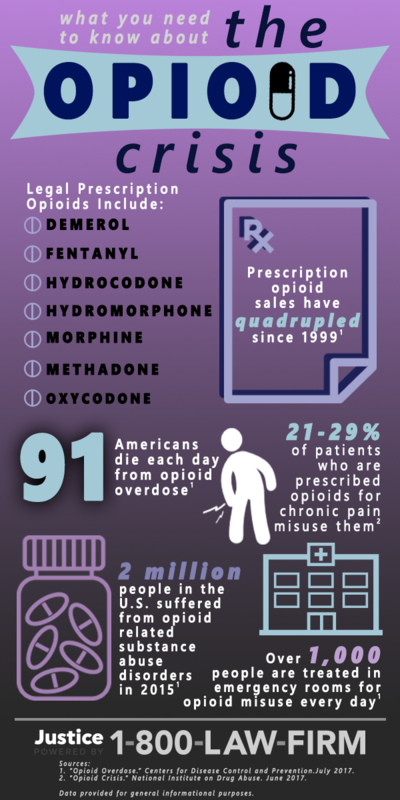 Medical professionals commonly prescribe opiates for the treatment of severe and chronic pain. According to the Centers for Disease Control and Prevention’s (CDC), Annual Surveillance Report of Drug-Related Risks and Outcomes—United States 2017, nearly 62,000 patients had at least one opioid prescription filled or refilled in 2016. Opioids produce a sense of well-being in patients because these painkillers profoundly influence the areas of the brain associated with reward. Opioids trigger the same responses that give patients pleasure from actions like listening to their favorite music, but much stronger. Opioids also cause the brain to create more dopamine which produces increased usage. What causes opioids to be so addictive? Prolonged use of any opioid often leads to addiction and abuse. Opioid addiction is the leading cause of drug overdoses in the United States. 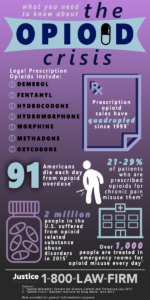 Over 20,000 U.S. deaths a year can be attributed to prescribed opioid pain killers. Treatments will vary but often include a combination of inpatient support, counseling and discontinuation of the drug. Medications including methadone can help ease the withdrawal symptoms and the intense desire to use. Anyone suffering from opioid addiction should consult their physician regarding recommendations and next steps. Is it possible to reverse an opioid overdose? Naloxone (Narcan) is a medication that is often used to stop an overdose from occurring. Naloxone effectively impedes the effects of opioids during an active overdose. The drug can work within a few minutes if administered intravenously. If an opioid addict receives the drug, they may experience withdrawal symptoms including rapid heartrate, sweating, anxiety etc. Consulting a medical professional is the first step to finding the best treatment approach for you. The opioid crisis has been declared a national public health emergency. Overdose death rates among Americans continue to rise. If you lost a loved one due to an opioid addiction or overdose, you may be eligible to file a lawsuit against the drug’s manufacturer, doctor or hospital responsible for your loss. Contact the consumer protection team at 1-800-LAW-FIRM for a free consultation. There is no obligation and all calls are free and confidential.